Dave McCrory is CTO at Basho. Dave came to Basho from Warner Music Group where, as SVP of Engineering, he led the team that built their digital service platform. 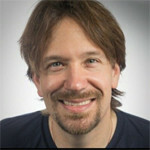 He was previously senior architect in Cloud Foundry at VMware and Cloud Architect at Dell, and also experienced successful exits from two companies he founded – Hyper9 (acquired by SolarWinds) and Surgient (acquired by Quest Software). McCrory holds nine technology patents in virtualization, cloud and systems management as co-inventor and created the “Data Gravity” concept which states that as data accumulates, it’s more likely other services and applications will be attracted to it.